Each year in the January the NSW Boys Group of the Australian Air League hold a 9-day Flying Camp at its Air Activities Centre located at Camden Airport, and with 25 eager students, the 2019 Camp was a huge success! The Air Activities Centre was established at Camden Airport in 1986 to allow the Australian Air League to provide air experience flights and flying training to its members, and the annual Flying Camp is a highlight of the calendar, where cadets have the opportunity to undertake 9 days of intensive flying training. During the camp, the cadets live together at the airport where they eat, study and work together as a team while undertaking flying training with the Air League’s volunteer instructors. 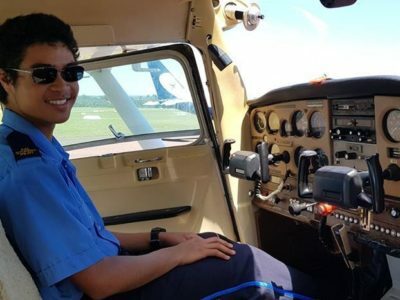 The cadets came in to camp with a wide variety of experience, for some it was their first camp where they got to experience their first taste of flight, while for others it was an opportunity to build on their training from previous camps. As in part years, the highlight of the week was the dining in night and the guest of honour was Mr David Binskin, General Manager Aviation for Sydney Metro Airports who was accompanied by his partner Rachel. To learn more about flying with the Air Activities Centre, contact them today!